The Ram Box Mod by Stentorian and Wotofo is one of the first affordable squonking (Bottom Feeder) mods on the market. It sports an elegant wood design and comes with 3 7ml squonk bottles. The Ram Squonker Box Mod also has a fire button with a safety lock on to prevent accidental discharge. Stentorian is a brand closely associated with Wotofo and has brought you products like the Steam Engine Sub Ohm Tank. Note: The resin colors are the general colors, Resin is unique in color and no two mods will be exactly alike. Warning: This is a unregulated Mod and is for advanced users only. 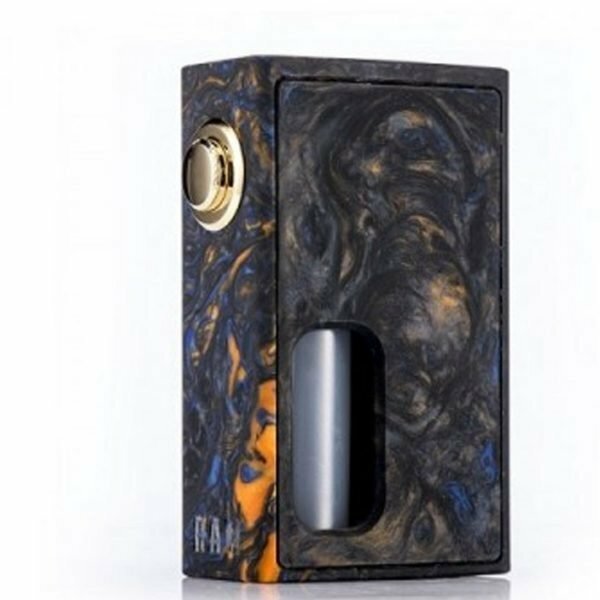 Please make sure you have the proper knowledge with unregulated mods as well as battery safety before purchasing the the Ram Squonker Box Mod. One peek with 510 adapter to prevent the top of mod overheating.